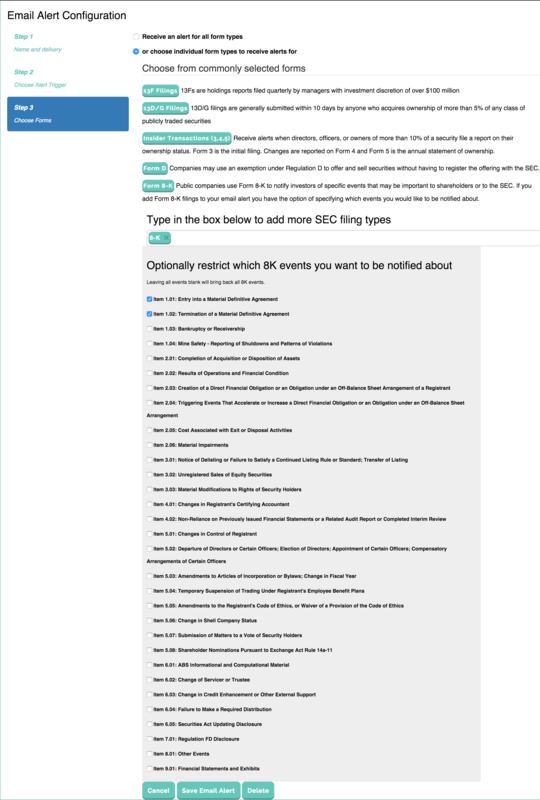 Using WhaleWisdom’s email alert system, you can choose which events (or all events) within the 8-K you wish to receive an email on. Just go to step 3 of the email alert form and choose 8-K as one of the form types. Once selected you will be presented with a list of events to choose from. This entry was posted on Sunday, February 7th, 2016 at 9:39 am and is filed under Uncategorized. You can follow any responses to this entry through the RSS 2.0 feed. Both comments and pings are currently closed.